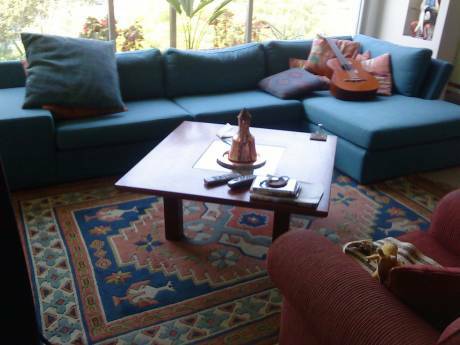 We offer a large and beautiful apartment in a private complex in Tel Aviv. The building has 24 hours Doorman. We have 4 bedrooms, two with twin beds, and one with a child bed and master bed room with a quin bed. Fully equipped kitchen and a dining area. Central Air condition. Great open view to our private park & to the Mediterranean sea. The apartment is sunny. Pubic transportation near by. Private parking available. 2 adults & 2 kid's bicycles are available. We are family of 5. Our 2 doughters are 16 & 13 and our son is 7. We manage a consulting & trading company. We are planing a trip to the East Coast this summer. 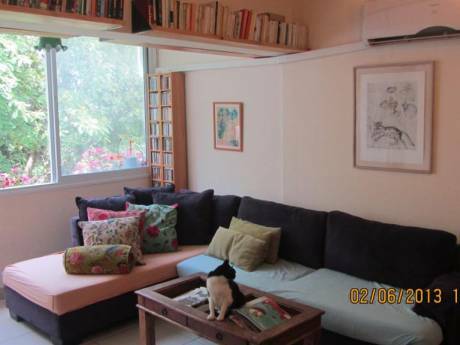 Our apartment is located in a very good neighborhood in the northern part of Tel Aviv. 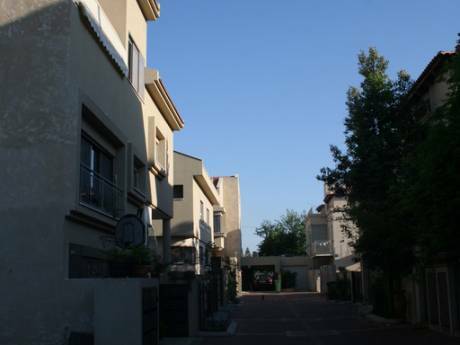 Within 15 minutes walk to the beach, museums, restaurants and nicest shopping mall in Israel. Also close by to the renovated Tel-Aviv Port Promenade. Neighborhood shopping center just below the building with a mini-market, bank, coffee shop, hair stylist.